Update 4/16/2019: There’s been too much demand for Rich Uncles’ platform, as a result, they’ve closed the opportunity to new investors. Try Fundrise for free instead. They were founded in 2012 and are the largest and most innovative platform today. They are the creators of the eREIT asset class. I worked with them quite closely since 2016 and I find them to be an incredible platform. As a 25 year investing veteran, I’ve got $810,000 currently invested in real estate crowdfunding, but it’s with a real estate crowdfunding platform only for accredited investors – investors with at least $1 million in net worth excluding their primary residence or have a household income of over $200,000. As a result, only about 10% of the population can invest in what I think is a multi-decade investment trend. Further, they are no longer accepting new investors. Enter Rich Uncles. They have solved this high hurdle problem with its real estate crowdfunding platform where investors can invest for as little as $5 and not be accredited. Rich Uncles, LLC, was founded by Raymond Wirta and Harold Hofer to democratize access to medium and large real estate transactions only available to the rich. Instead of using the typical broker-dealer distribution channel and paying advisory intermediaries, Rich Uncles uses crowdfunding and the internet to market their REIT directly to investors. Rich Uncles’ platform provides photos and details about the properties in each REIT. While you don’t pick specific properties to invest in — there are currently two active REITs that hold these properties and you invest in the REITs themselves — you can get a good feel for the portfolio holdings by reviewing the details of the individual properties online. Rich Uncles allow investors to invest in their public non-traded REITs. They are public because they are registered with the SEC and open for public viewing, but they do not trade on the open market as do the public REIT shares you purchase from an investment broker. Low Minimum: The minimum investment of $5 opens it up to many more people than most commercial real estate crowdfunding platforms. No REIT Expenses: Typically, public-traded REITs pay subordinated performance fees equal to 15% of the amounts by which asset sale proceeds exceed the amounts paid to purchase shares, and a return of their invested capital plus a 6% cumulative, non-compounded annual return on invested capital. Rich Uncles charges none of these customary fees. Monthly Dividends: Like a dividend-paying stock, Rich Uncles’ REIT provides steady monthly dividend income (under normal circumstances). You can choose to receive your dividends in cash or reinvest them. Excellent Fee Structure: Rich Uncles’ business model is performance based. The first 6.5% of profits is paid out to shareholders. All profits after 6.5% are split 40% to Rich Uncles and 60% to you. Passive Investment: With no maintenance or tenant headaches, A Rich Uncles REIT is a truly passive real estate investment. I couldn’t stand managing my SF rental house so I finally sold it in 2017 after 12.5 years of ownership and reinvested the proceeds into the heartland through real estate crowdfunding. Open To All Investors: No need to be an accredited investor. Rich Uncles asks only that you have a combined family income of $75K or a net worth of at least $250K. Lower Leveraged Properties: For its National REIT, Rich Uncles acquires properties with 50% equity, similar to a 50% downpayment on a home. Geographical Diversification: Rich Uncles’ strategy is to acquire properties across the country, thereby reducing the risks of any one market by diversifying their holdings geographically. The coastal city real estate market is super expensive now and slowing. Rich Uncles provides an online platform for investors to buy shares of its single-tenant commercial property REIT, called the Rich Uncles National REIT, or residential real estate through its Student Housing REIT. Leased to tenants with strong financial statements including investment-grade credit quality; and Subject to long-term leases with defined rental rate increases. “Triple-Net Leases” – Rich Uncles buys commercial properties where tenants are responsible for paying all property-related expenses, including taxes, insurance, and maintenance. The NNN REIT requires a minimum investment of $500. The Student Housing REIT is focused on residential multi-unit housing with a minimum investment of only $5. This is very unique because most real estate crowdfunding platforms have minimums of between $1,000 – $5,000. The Student Housing REIT buys student housing within a one-mile walking distance of major NCAA Division I universities that have more than 15,000 enrolled students. These are consistent cash flow payers due to the endless demand for a college education and student housing. 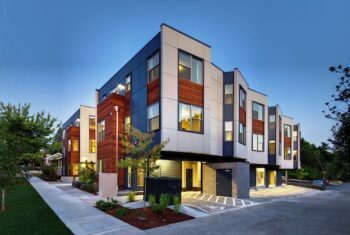 It’s good to own these types of properties through real estate crowdfunding and NOT own them physically due to all the hassle and headache of maintenance. All properties purchased in the Student Housing REIT have a minimum capacity of 150 beds, feature 90% rental occupancy rates; and represent a broad geographic diversification. The National REIT is currently available to residents of: CA, CO, CT, FL, GA, HI, ID, IL, IN, KY, LA, MT, NH, NV, NY, SD, TX, UT, VT, WI, WY. The Student Housing REIT is available to investors in all 50 states, as well as all around the world. I really like Rich Uncle’s incentive structure of only earning a fee after their REITs return more than 6.5%. The structure aligns their mission with investors by trying to acquire and manage the best deals possible. When the investor wins, they win. Rich Uncles is a great way for investors looking for more focused higher end real estate exposure. In the past, the some of the best deals were in the middle-to-high end where retail investors had no chance of participating due to the huge investment cost. Now, with as little as $5, investors can get started investing in one of the best long term asset classes. If you can own real estate and not have to deal with the headache of maintaining the property, that’s a huge win in my book. You can sign up for Rich Uncles here for free.